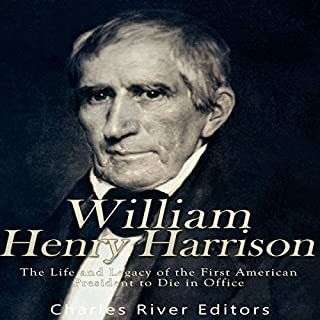 I knew almost nothing about Jackson when I started this book except that he had been President and had something to do with New Orleans and Florida. Now I can almost picture him, calling for duels at the drop of a hat, training his horses, playing with his adopted son (and a baby lamb), urging on his troops, who returned his pride in them with fierce loyalty, sticking to his principles at the repeated risk of his career, and having arguably as much effect on the course of America's history as any of the Founders did. In telling Jackson's story, H.W. 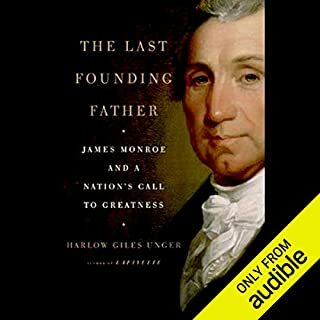 Brands also tells the story of his era, which was as noble, bellicose and preoccupied with principle as he was: shaped by war with Spain, Britain and American Indians, political friction between Federalists and Republicans, and the remorseless westward push that eventually stretched America from sea to shining sea. John H Mayer's narration is a treat, and does full justice to Brands' artfully structured yet utterly natural-sounding prose. I came into the book not knowing anything about Andrew Jackson. Now I feel like I lived along side him. The book is very thorough and the narrator is excellent. The story line kept me interest even through the political debates. The author seems to go off on tangents while the reader wonders why. Then, all the information is nicely woven together. I've been rediscovering American History after flitting through the topic in my childhood. Naturally, my attention tended to focus initially on the Revolutionary period and the Civil War as these events tend to overshadow others. This book goes a long way towards defining and clarifying the period between these two general periods. If one reads a book on Revolutionary America then opens a book about the Civil War, a lot of questions might spring to mind: How did Florida get into the union? And Texas? What was the War of 1812 about? Who were the Whigs? Where did these political parties come from? All of these are addressed to some extent in this book as Andrew Jackson figured large in relation to most of them. Highly recommended both for content and the narrator has a good pace and tone. He style is almost grandfatherly and works well with the material. 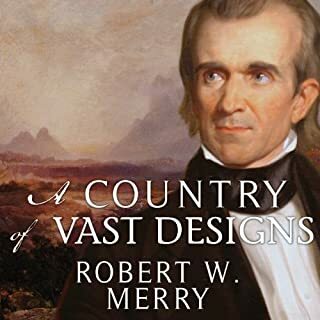 I enjoyed this book as much or more than Truman, John Adams, and 1776. It was much better than Alexander Hamilton. It gave an appropriate amount of time to surrounding historical perspective. The narration was a little less than 4 but acceptable. The book maintained my interest from the very beginning to the end. One small drawback was that the author glossed over Jackson's character flaws such as a hair-trigger temper and "my way or the highway" attitude. 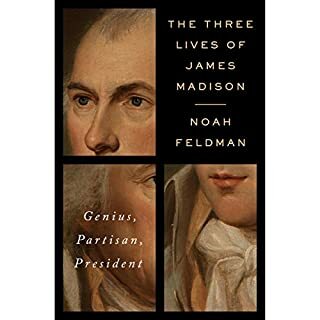 I enjoyed the book but came away liking Jackson much less as a person and President. The book is informative, but it is biased in favor of Jackson more than you would expect from a biography. For example: "Jackson's appeal to the American people was the appeal of the chieftain to the tribe. They loved him because he was their protector, their hero. But they also loved him because because he embodied their hopes and fears..." It isn't quite that extreme everywhere, but praise of Jackson is direct, while criticism is oblique. Count while listening how many times you hear a variation of "[Jackson's opponent] has a point that [insert point], but all things considered, Jackson was right to do what he did." There is an important point which gets left out of the discussion of the Bank War: the connection of the bank issue to modern times. You paid for this book with notes issued by the modern Bank of the United States (the Federal Reserve). The book also missed out by not spending more time on Jackson's personal experience owning slaves. Yes, it is discussed, but not in great detail. See "Washington: A Life" for an example of what this discussion could have been. I feel without it, we are missing out on a chance to look into his mindset on this issue. Please also note that Tecumseh's speech, read with great dramatic flare by John Mayer early in the book, is apocryphal. a very complete history of Jackson's early years. 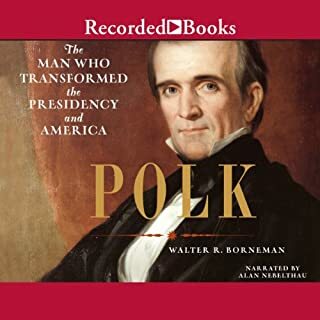 But it was lacking in detail on the Jacksonian presidency and glossed over the Trail of Tears and the Texas issue without providing the same level of detail. It could also have explained the Bank Battle in greater detail. If you have any interest in American History this is a must read. I learned more about American History than all my years of High School and College combined. What made the experience of listening to Andrew Jackson the most enjoyable? The narrative was engaging and fun to follow. Confusion. I thought more would be said about Jackson's involvement in the forcible resettlement of the Cherokee Indians. I also thought more would be said about Jackson's financial interests in land gained by his betrayal of the Creek Indians. While Brands mentions these issues, they get short treatment while other less controversial issues (including veneration of Jackson) are given longer passages. No. No complaints about the narrator. 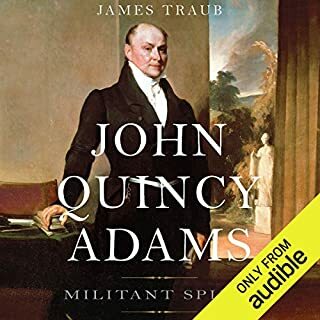 Often historical audiobooks can be dry. Mayer makes this book enjoyable to listen to. I wish Brands had allowed himself to be more critical of his subject. He by no means is a Jackson apologist - there's plenty of criticism of Jackson's often irrational use of violence -still, the biography seems to brush aside some controversies that had much more historical impact beyond Jackson's life. 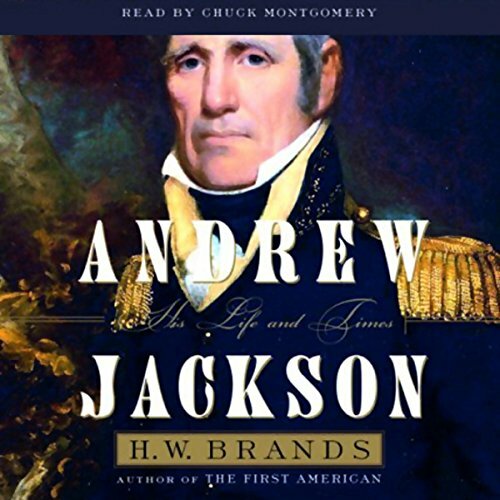 I have read several biographies about Andrew Jackson (1767-1845) over the years. Jackson was such a controversial and complex man that I thought I would read this new biography by historian H. W. Brands. Jackson was born into poverty and orphaned at an early age; Jackson was a fighter since he was a preteen. Jackson’s courage under fire was an inspiration to those who fought under him, particularly at the Battle of New Orleans. When Jackson was elected to the presidency he had less education than the prior six presidents and many considered he had less manners also. Jackson received a sporadic education. He read the law for two years and became a lawyer in Tennessee. His legal education was scanty but he knew enough to be a country lawyer on the frontier. Brands states that Jackson was the first man elected from Tennessee to the House of Representatives. He served briefly in the Senate. Jackson had been active in forming the state of Tennessee; he helped write the State’s constitution and he gave the State its name after the Indians in the area. The author tells about Jackson’s time as a circuit Judge and head of the Tennessee Militia where he was elected Major General. The author does a wonderful job explaining political concepts that easily could be dull. Jackson’s military success coupled with his love for American augured well in his political aspiration. He was called “the man of the people.” Jackson was the first president to be elect by the popular vote. Jackson was the first president to invite the public to attend the White House ball honoring his first inauguration. Brands makes Jackson come to life with a combination of action-packed heroics and an easy to read style. The author points out that Jackson vetoed more bills than all six of his predecessors combined, the sort of trivia information that I love. Brands meticulously revels Jackson’s life, his ugly massacres of Indians as well as his triumphs, with unflinching detail. The author shows the brass-knuckles politics of Jackson time. Brands discusses Jackson’s belief that the common man should elect and have a direct voice in government. He was the founder of the Democratic Party. The newsmen and his enemies called him a jackass so he took that as the symbol of his Democratic Party. The book is well written and meticulously researched, it is also unbiased. Brands is a professor of history at the University of Texas, Austin. The book is narrated by John H. Mayer. Enjoyable and Enlightening and sometime sad. This book covers a momentous and disturbing time in our history. The man, Jackson, was a product of his time and if we judge him by our morals based on today's realities, he will be found wanting. Mr. Brands does a good job of putting the listener into the shoes of the subjects and gives us the context with which to judge these the formers and shapers of our nation and national personality. One can never excuse our treatment of the aboriginals of this land, and yet, based on the nature of the world at that time, one cannot escape the inevitability of what happened. I feel I know a lot more about our natures, today and back then, for having spent the time in this book. The narration is sharp and clean. Mr. Mayer does a fine job with this book. I highly recommend it. I loved the life and it's telling. Jackson was a soldier, lawyer and statesman, living in a time of great change and expansion. Brands book is great at bringing out the man and the times.